Body Transformation: Kenneth Meyer Scorched 279 Pounds Of Fat! Kenneth was motivated to lose fat so he could join the military and accomplish his dreams. Check out the amazing path he took to lose 279 pounds and 52 percent body fat! I was extremely obese growing up. I ate too much and had an addiction to food. At age 18, I went to the doctor after getting sick and weighed 469 pounds. I couldn't eat whole foods for a few weeks and lost weight from being sick. That's when I decided to keep it going and lose more weight. My desire to join the military also motivated me to lose weight. I lost a little bit of fat but stayed around 435 pounds. After I tuned 19 years old, my dad hurt his ankle and went to a physical trainer. My dad proceeded to tell the trainer about me and asked if I could be helped. On March 2, 2011, I met my physical trainer, Dave Greene. At the time, I weighed 433 pounds with 55 percent body fat. He built a meal and exercise plan for me and it worked. It was difficult at first and seemed like I would never reach my goal. After about a month with my trainer and meal plan, I started to see the weight come off. I dove into exercise, learned about healthy living, and it completely changed my life. Three years later, I joined the U.S. Navy when I became physically fit enough. I was 190 pounds with 8 percent body fat. I lost 281 pounds and 47 percent body fat thanks to my trainer. I couldn't believe the hard work paid off. I should thank my dad for hurting his ankle and leading me to a physical trainer. My life is much different now. I can play sports and have energy to be active. My self-esteem and confidence are high and I always notice little things I do now that I couldn't before. Now I fit in restaurant booths, airplanes, and rollercoaster's. I can shop at regular clothing stores now and don't have to worry about breaking chairs. After starting my meal and exercise plan, I started to think it was possible to lose the weight. I tried many times before but nothing worked. When I realized it would take the gym, a change in eating habits, and a lifestyle overhaul, I realized I could accomplish my goals. I met once per week with my physical trainer to check my weight and make changes if needed. It helped me stay accountable and was encouraging. After every meeting, I got more into fitness and it slowly became a lifestyle. 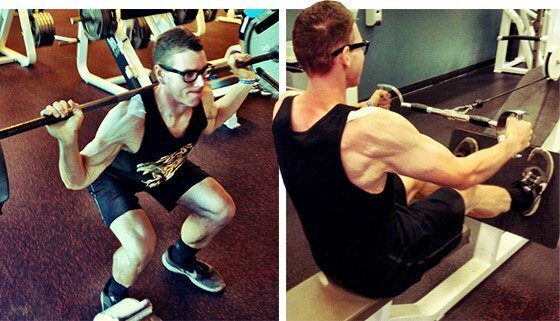 I started researching workout routines and meal plans on Bodybuilding.com to see how other people accomplished their goals. "My self-esteem and confidence are high and I always notice little things I do now that I couldn't before." My dad told me to write down my goals with achievement dates and read them every day when I woke up, which kept me motivated. I love learning about nutrition and fitness and believe that helped me stay motivated and on track for. Throughout everything, I kept the image of myself in a military uniform in my head. Time flew by during the past few years. I cannot thank my parents, family, friends, and physical trainer, Dave, enough for the help and encouragement. When I first started, I was only able to walk on a treadmill, but I quickly built up my ability to exercise and slowly increased the amount over time. I also started boxing and playing basketball with my friends. I quickly fell in love with the gym. The most difficult part was going out with friends at restaurants when I couldn't eat. I built strong discipline and self-control in the past few years. I'm trying to build more muscle now that the fat is gone. I still run a lot because I like to maintain my cardio for the military. Fitness will always be part of my life. I would like to become a physical trainer or nutritionist to help others. I learned a lot and can help people who are trying to lose weight. I experienced many ups and down during my journey and would love to share and help others who struggle too. "Write down your goals, set a date to reach them, and read them to yourself every day." Write down your goals, set a date to reach them, and read them to yourself every day. Make sure to journal your workouts and food so you can track improvement. Bodybuilding.com is the best website I found during my fitness journey. It has so much information and is stocked with encouraging people. Every workout plan I need is on Bodybuilding.com. The articles pump me up to go to the gym and motivate me. I read the articles about nutrition mostly. I learned many recipes and ideas for cooking and baking. I thank Bodybuilding.com for the motivation and information to help me accomplish my weight loss and fitness goals. 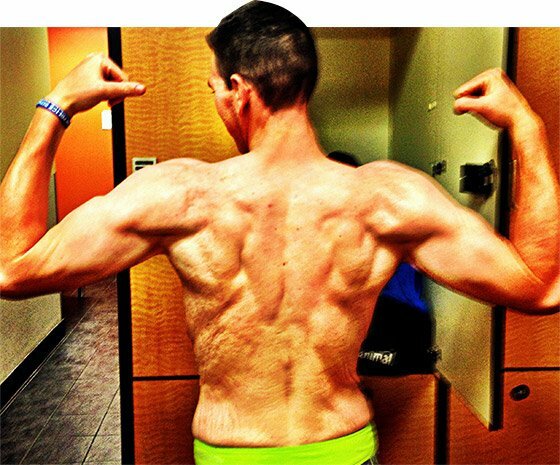 Body Transformation: Sean Henry Torched 33-Percent Body Fat! Sean was tired of screwing around with fad diets and unreliable training programs. See how this fighter took his fat to the cleaners and lost 127 pounds in two years!